Has your pool been sitting a long time without use? Does it now have a green hue? Chances are, algae has taken up residence in your pool. Once you have a "green" pool in Knights Ferry, California it gets worse and worse quickly. The only way to combat it is with a chlorine wash or rinse, otherwise known as a chlorine chemical bath. 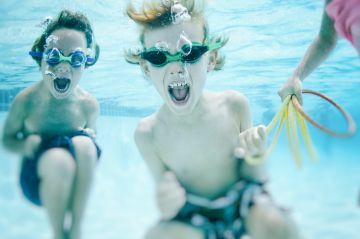 The pool experts at EZ Pool Service specialize in chlorine rinses for Knights Ferry pools, and we can help your pool get back into bathing suit shape quickly and safely. Chemical washing is not a simple task. It is time consuming and it must be done safely and properly. EZ Pool Service has been cleaning and chemical rinsing Knights Ferry pools since 2011. With EZ Pool Service, you can trust that our experienced professionals will get the job done right. Why Chlorine Chemical Rinse a Knights Ferry Pool?